We've been selling Stansted airport parking for more than 20 years, so it's fair to say we know a fair bit about it. Our customers come to us because we're experts and we listen to what they say. Here's a list of the top Stansted airport parking FAQs. Unless the Stansted parking you've booked specifies that it is non-amendable, we'll be happy to amend your booking for free up until 24 hours before your trip. You may be subjected to a charge if you amend the times or dates of your parking at Stansted and the price has gone up since your original booking. Please contact us to make an amendment to your booking. What if my flight's delayed and I exceed my pre-booked parking period? It's not a problem. All of the Stansted airport car parks will look after your car until you come back. When you arrive back at the car park, you'll be able to pay for the additional hours or days. These will be charged at the car park's local rate. Will I have to park my own car? 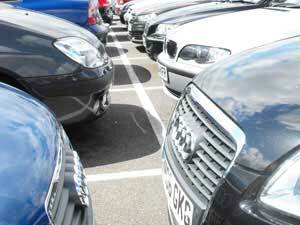 Depending upon the Stansted car park, you may have to park your own car, or your car may be parked for you. If the car park requires you to leave your car keys with them, it's likely that they'll park the car for you. If you'd rather keep your own keys, you'll be parking your own car. To find out what the arrangements are at each car park, just make a Stansted airport parking search for your required dates and click the 'more info' link. Do I have to pay in full at the time of making the booking? We take full payment on the day. But we give you up until the end of the day (11pm weekdays, 8pm weekends) to cancel free of charge if you change your mind. We also offer a non-refundable cancellation waiver on all of our parking products (except our non-amendable, non-refundable packages). This cancellation protection means you can cancel your parking at Stansted and obtain a full refund up until 24 hours before your parking stay starts.